An in-depth look at all aspects of your facility. Attempting to manage foul odors or harmful emissions at an industrial or municipal facility without detailed knowledge of their origin is like flying blind. It’s also quite inefficient. That’s why BioAir Solutions offers in-depth site surveys to learn as much as possible about your site and its processes. 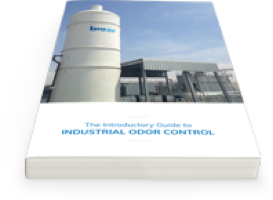 With this knowledge in hand, it’s easier to pin down the potential causes and sources of a bad smell or emitted pollutant and identify your odor control needs. ‘Green’ odor control systems prepare a growing New Jersey suburb for expanded wastewater treatment needs. How in-depth is this survey? 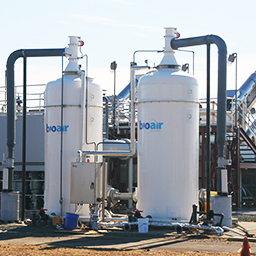 BioAir process experts conduct an exhaustive examination of your site, including its layout, its equipment and process designs, its raw materials and finished products, its exterior environment and its relationship with neighboring developments. This scrutiny is a vital step in determining how odors or emissions are released. It also helps us create a treatment recommendation that’s customized to your site and designed to meet your specific needs—whether it’s to address nuisance odor complaints or comply with environmental regulations. Need us to take a look around?